AIPCE-CEP represents the EU fish processors and traders as a common strong voice in Europe providing for a framework in which companies can grow and prosper to continue offering healthy, sustainable and responsible fish products. Please visit our Members’ page to find out more about our current membership. 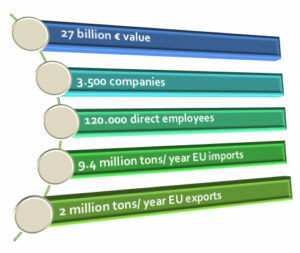 Facts and figures on the Common Fisheries Policy, published by the European Commission’s Directorate-General for Maritime Affairs and Fisheries in 2012.